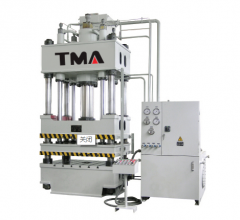 ◆ The hydraulic press of this series is the double-movement hydraulic press for sheet metal drawing. It is particularly fit for drawing, forming, flanging, bending and stamping of sheet metals for making parts and components. It is also fit for stamping process and pressing process. ◆ The hydraulic system has a two-way cartridge inserted valve; the electrical system has PLC for control. Thus, the machine can be conveniently operated. 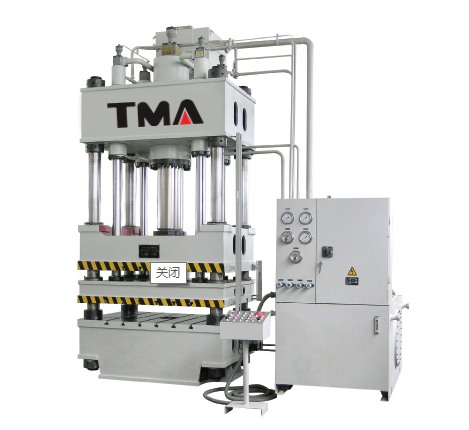 ◆ The hydraulic press is characterized with high speed under no-load condition, high efficiency in energy utilization and low power consumption with the blank holder pressure and drawing force adjustable. It is an ideal equipment for the forming of sheet metal.